Ramón, twenty-three, falls in love with Mariana, the Romanian immigrant who works for his family as a housekeeper. This love will awake him from the apathy and listlessness of his daily routine. Juan and Lola, Ramón’s parents, who used to be leftist activists, are uncomfortable with the relationship. On the one hand they accept it, on the other it goes against their principles and the generational gap between Ramón and his father grows ever deeper. Juan decides to write down the story of his life in a notebook and thus seek a point of common ground in his past. Using these two characters, García Montero offers us a story of three generations, one of which lived in exile during the civil war, one which was young during the transition and finally one facing the uncertain future of the contemporary crisis. Full of narrative imagery and beauty, this work is a deep, complex portrayal of a world that seems on the edge of a moral and political abyss where the only happiness available is in the private sphere. 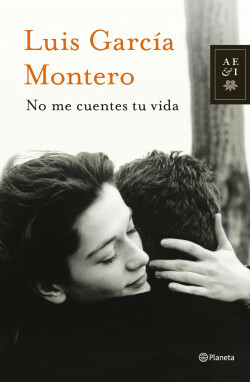 Considered the best poet of his generation, a spokesman for the so-called “Poetry of Experience”, Luis García Montero is a leading literary figure who sold over 40,000 copies of his first foray into the world of fiction: Mañana no será lo que Dios quiera (2009).